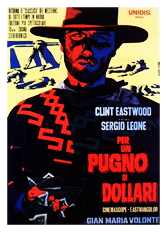 Spaghetti Cinema: The Leone influence. My take on the Spaghetti Westerns were they were super heroes (ie James Bond clones) in a comic book world. The Spaghetti western sets looked more like what I believed the real west looked like not white washed neatly constructed homes and towns in the middle of the wilderness. The people used as extras also looked like what I think you would see in the real west. Hardened natives burned to a deep brown from years exposed to the sun on a daily basis and European anglos owning ranches and shops. The gunmen were ex-Civil war veterans North and South wandering the West with no ties to their former homes. They also carried heavy mental burdens from the violence they had participated in during the war. Violence was now a daily way of life for most of these survivors and many couldn't cope.